On a recent rainy day, while looking for something new to do, my daughters and I stumbled upon the New Britain Youth Museum at Hungerford Park. I admit that when I first pulled into the parking lot I was doubtful, but inside, my girls discovered a new favorite place in the Hartford area. The museum is small in size, but big in charm. You will not find flashy exhibits and high-tech gadgets, but young children will enjoy the creative play areas, the compact nature center, and the farmyard. The museum is one long room divided into various play sections, similar to Lutz Children's Museum in Manchester. It is the perfect size for children ages 6 and under (though my 8-year-old was perfectly happy here) because they will not be overwhelmed or over-stimulated by large exhibits. Instead, they can exercise their creativity putting on a puppet show, exploring the slide in the "Bear's Den" (this area looked a bit rough when we visited, so perhaps it was undergoing remodeling), pretending to cook in the old-fashioned kitchen, or playing in the Ice Cream Parlor (I had a hard time persuading my toddler to leave this section). You'll also find an area for assembling puzzles or bonding over a storybook. At the back of the building, the museum features an indoor reptile and amphibian exhibit, and the snake, bird, and fish holding areas are thoughtfully placed at child eye level. The animal caretaker was very patient and engaging, answering my children's questions and offering informative tidbits. 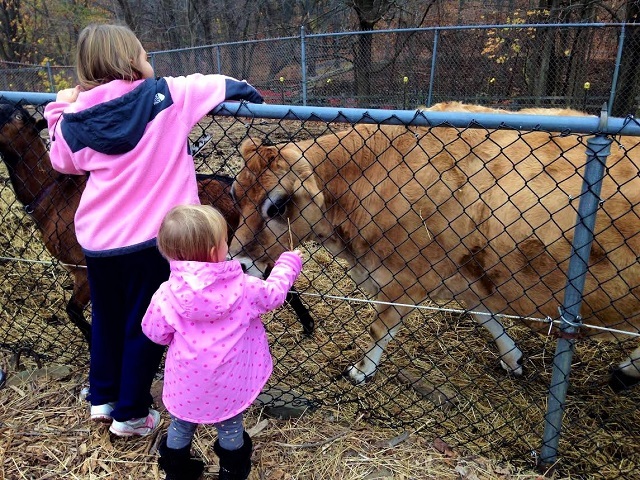 The outdoor animal barnyard is home to a llama, chickens, geese, bunnies, and a goat and cow full of personality. We also enjoyed getting up close to two hawks, one very feisty owl, and watching the peacock put on a show (he likes to fly to the top of the museum roof). 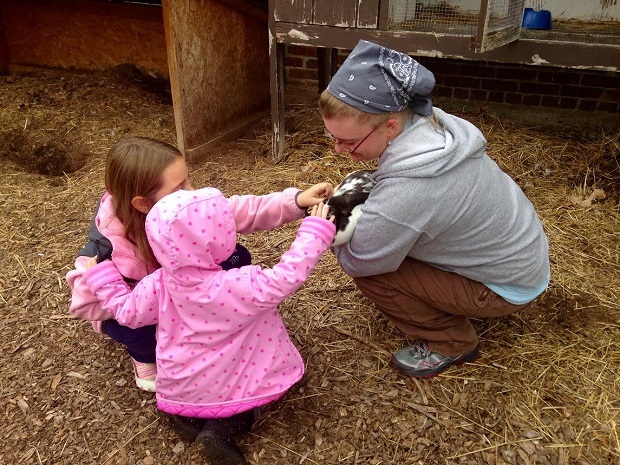 Once you are done exploring inside and visiting animal friends, let the kids explore the adjacent (and fenced in) playscape area, visit the gardens (when in season), or wonder together on the nearby trails. The museum has two locations: The New Britain Youth Museum at Hungerford Park (at 191 Farmington Avenue in Kensington) costs $6 per person. Children under 2 are free. The Downtown facility (behind the library) at 30 High Street in New Britain offers free admission. 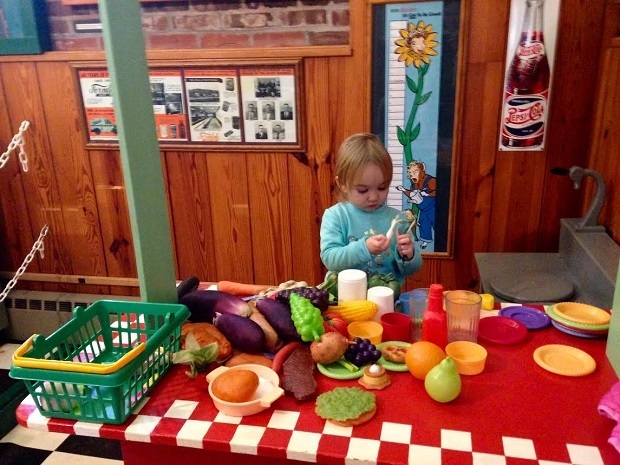 Both locations are a great year-round resource for preschool literacy programs, weekly crafts, and many special events throughout the year, such Gingebread House Making , Pumpkin Palooza, Magic Shows, and the ongoing Children's Art Studio and Nature Discovery programs. Keep checking our Events Calendar for updates on the many fun events hosted here. Right down the road is Avery’s Beverages, which is a must stop when in the area. Kids love the homemade sodas and learning how they are made. The Totally Gross sodas are the best.